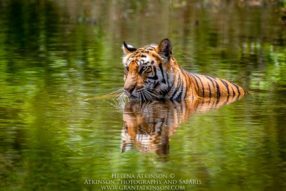 Join Grant and Helena Atkinson with Jason Fernandes, and a small group of (max 6) photographers in May 2019 as they explore Bandhavgarh National Park in central India, in search of tigers and other fascinating wildlife. Whilst we focus our attention on tigers, this diverse park protects a range of habitats including grasslands, Sal forest, streams glades and hills. Aside from tigers, more than 25 species of mammals occur, including langur monkeys and macaques, chital and sambar, and wild boar. There are also well over 200 bird species which occur here. Our visit takes place at the end of the dry season, which increases our chances of good tiger sightings. Bandhavgarh enjoys a well-deserved reputation for being one of the most reliable places to see Bengal tigers in the wild in India. All tiger images in the gallery are from the 2018 safari to this destination. We have partnered with Wilderness Uncut on this safari. Our group size is a minimum of 3 participants and a maximum of 6 participants. Small group trips like this can sell out quickly. If this exciting safari interests you and you are considering joining this trip, please get in touch with any questions you may have. We are visiting the park at the end of the dry season, which improves our chances of seeing tigers and our chances for good photography. This safari represents a fantastic combination of authentic wildlife photography experiences, very comfortable accommodation and expert guiding. 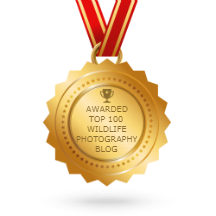 As always we will spend a lot of time out on game drive, and you will be with like-minded photographers who are happy to put in the time to get images. We will be staying in very well-appointed lodges. 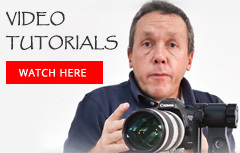 We work with a team of highly-experienced guides to maximize photo opportunities. On your arrival at New Delhi you will be picked up by our representative and transferred to Imperial Hotel, New Delhi. Overnight on a Bed and Breakfast basis. Chosen as India’s best ‘Luxury Historical Hotel’ by World Luxury Hotel Awards 2015, The Imperial is an iconic property in Delhi’s 5 star hotel category and the most distinguished address situated in the heart of the capital, reminiscent of the halcyon days of the Raj. A luxury hotel with an inspiring heritage interwoven in colonial elegance, it dwells in its modern delivery of old-style class, magnificence and luxuries aplenty. Built in 1931 by Blomfield, one of Sir Edwin Lutyen’s associates and inaugurated by Lord Willingdon in 1936, it is New Delhi’s landmark Hotel, located on Janpath, the erstwhile Queensway. The Hotel is steps away from Connaught Place, the renowned shopping district and is very close to the city’s major attractions. The hotel is a roughly 45 minute drive from the international airport. 4th May – Early morning check out and transfer to airport for your scheduled flight to Jabalpur Airport. On arrival, you will be picked up from Jabalpur and transfer to Samode Safari Lodge in Bandhavgarh National Park. Arrive in time for lunch. There will be a short briefing post lunch and the afternoon will be at leisure. We can take that time to prepare our camera gear and also to make sure we are all ready for the next morning’s game drive. The lodge is part of Relais & Chateaux and has been voted as one of the 10 best safari experiences by CNN in 2015 and the world’s 50 best hotels and destinations by The Telegraph, UK. 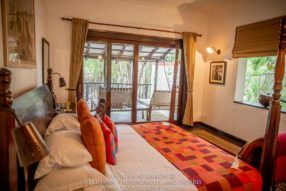 The inspiration for the lodge is colourful vernacular architecture of the region, the décor and setting is distinctly Indian. The hospitality and luxury is unmatched. Accommodation – Samode Safari Lodge has 12 private villas strung along the main lodge building. Each villa has an elegant living area with a spacious lounge, a bedroom with en-suite bath, a dressing area, a unique open-air bath court and a private verandah with a view. The rooms are also equipped with air-conditioning and there is a pool to escape from the midday heat. The lodge also has a spa that offer massages. Dining is an indulgent treat and a daily surprise with different menus, different venues, either indoors or outdoors or alfresco. Enjoy gourmet dining at the main restaurant: barbecues around campfire, a table set for you in the bushes or long lazy pool-side meals. On one of the days we will embark on our full day drive into Bandhavgarh National Park. This special permit gives us access to the entire core area of the park as well as permission to spend the entire day within the park. We will also be allowed to enter the park 15 minutes before regular tourist time and exit 15 minutes after regular tourist time. 2 May- Check out and transfer to Jabalpur airport for your flight to New Delhi. Grant and Helena will not return with you to Delhi as they will be meeting the second group. On arrival, transfer to the Imperial Hotel. Overnight on a Bed & Breakfast basis. You will be staying at the Imperial hotel again for your last night in India. 3 May– Check out and transfer to international airport for onward departures. This trip will run with a minimum of 4 participants and a maximum of 6 participants. Customized extensions to this safari, including other camps in India or other destinations may be arranged through Wilderness Uncut. Ask us for further information. Although the safari lodge offers complimentary internet access, connections are unreliable and extremely slow. There is a low chance of some rain showers at this time of year so some sort of light rain gear both for yourself and your camera equipment may be useful. Power points in the rooms at the hotel and lodge. Warm temperatures are the norm at this time of year but the lodge is air-conditioned and comfortable. Special dietary requirements can be accommodated better if sent through beforehand. India is a large country, with the majority of its land surface lying between 10 degrees and 30 degrees north of the equator. The country is about a third of the size of the United States. India has a population of around 1.2 billion people. Income is derived from exports of petroleum, diamonds, medicines, jewellery and gold. Many crops are grown successfully in the country, with rice, wheat, maize, cotton, sugarcane, tobacco as well as coffee, tea, coconut and rubber. Fruit and vegetables are also grown. India has large herds of cattle and buffalo, produces lots of milk and also has a growing poultry industry. Fisheries are also significant. India has long been occupied by people, and its cultures are ancient, with the Indus valley civilization being just one example. Early trading posts where later established by travelers from Portugal, the Netherlands, Denmark, Norway, and France with England eventually ruling India for some years, until 1948. There are a number of major religions in India today with Hinduism, Buddhism, Jainism and Sikhism, Islam and Christianity being the major ones. There is a high degree of religious tolerance in India. People in India speak many different languages and dialects, but Hindi is spoken the most widely, followed by English and Bengali. India has a wide diversity of peoples from north to south and east to west. As it is a large country, there are many different kinds of environments in India, from the Himalaya mountain range, to forests, grasslands, and rivers like the Ganges and Brahmaputra as well as subtropical coastlines. There is a spectacular array of wildlife that inhabits the protected areas, including high-profile species like the Bengal tiger and the Asian elephant. Leopard, Asian wild dog (dhole), mugger crocodiles, sloth bear are other interesting wild animals that can still be seen there. There is also a small remnant population of Asian lions left in Gir. Whilst India does not have many very large National Parks it does have a reasonably good network of smaller parks and reserves spread around the country. Some of the better-known amongst these are Bandhavgahr, Pench, Kanha, Corbett, Ranthambore as well as Kabini and the Sundarbans. Wildlife conservation in India must always be balanced against the needs of a large and growing human population.